A popular dish in Singapore and Malaysia, Mee Rebus is made of yellow egg noodles with a spicy, slightly sweet curry-like gravy. The ingredients of the thick gravy include potatoes, curry powder, water, salted soya beans, dried shrimps and peanuts. 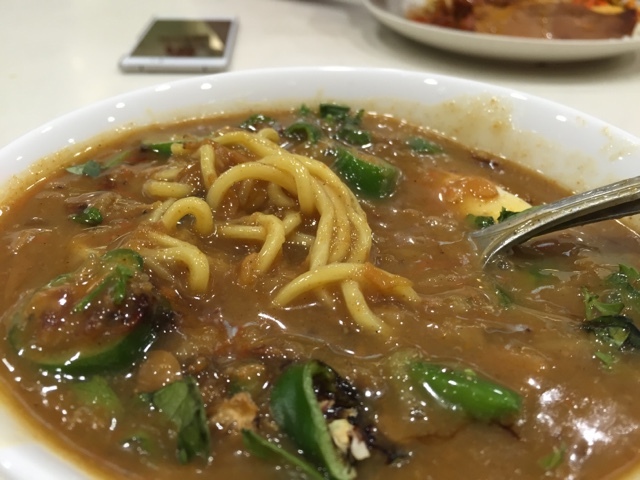 The noodles were then garnished with a hard boiled egg, lime, spring onions, green chillies, fried firm beancurd, fried shallots and bean sprouts.